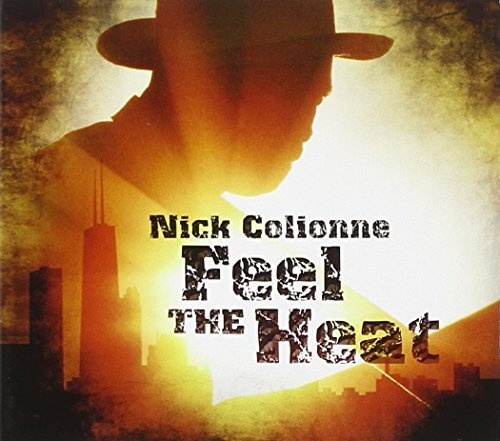 In 2006, guitarist Nick Colionne released an album called Keepin' It Cool; five years later, this one is called Feel the Heat. (In between came one called No Limits.) The alternating temperature descriptions are not so much an indication of different styles as of a similarity in conceiving clichés and a way of suggesting that Feel the Heat is a collection of more of the same from Colionne. Happily, that is no bad thing. Though lumped in with smooth jazz musicians, Colionne actually harks back to earlier styles. His hero is Wes Montgomery, and he demonstrates that by putting a Montgomery-like track on every album and labeling it as such. This time there's a tune called "Wessin'." Colionne hails from Chicago, and he usually finds a way of indicating that, too. (Another number is called "The Windy Dance.") The importance of his hometown lies in his musical influences. He is quite cognizant of the city's blues and R&B heritage, and he employs a Chicago funk style to open ("Some Funky") and close ("Po' House") the disc, in between applying himself to a straight electric blues on "Can't Let Go." Keyboard player James Lloyd brings in a pop influence on compositions such as "It's Gonna Be Alright." And when he isn't playing, Colionne is singing in a grainy baritone, contributing vocals to four of the ten tracks, most memorably the loverman ballad "Let's Spend Some Time." There are passages during the album that sound like smooth jazz, but most of the time this sounds like another diverse and rootsy Nick Colionne album, one that ranks with its predecessors.